When Does Medicare Not Pay First? You have Medicare; are still working; and are covered by your employer’s health insurance plan. In this case your Medicare coverage will come after your employer’s play because you have access to an employer plan. This coverage is going to come first because Medicare does not come before other plans that are available that you are eligible for. You have Medicare, are retired, but your spouse is working and has a health plan that also covers you. This is very similar to the first one because you have access to private health insurance coverage that other Medicare subscribers may not. Medicare needs to take care of those that are otherwise not covered first. You are injured on the job, in an automobile accident, or slip and fall at a shopping center (worker’s compensation, auto insurance or liability insurance may cover the cost of medical care related to the accident). This is a way of Medicare making the private insurance companies step up to pay first. Private insurance companies won’t argue because they do not want to start any disputes with the federal government. Retiring can be scary sometimes because of the unknowns involved with finances and health insurance, in addition to just staying healthy. The good thing for people that are in this boat at this point in time is that things are being done to help you and your situation. Medicare is evaluating the services that it provides to the retired participants in order to try to help make the transition a little less troublesome. To help offset the cost of employer-based retiree health plans, the new law creates a program to preserve those plans and help people who retire before age 65 get the affordable care they need. This helps to benefit the people who have worked a long life in a career that they thought would help them when retirement age hit. These people weren’t treated as they should and Medicare has put in stipulations to help. If you are not yet 65 and have retired and are in need of this service you should contact your Medicare provider or the Social Security office. Don’t let help that is available to you go by the wayside because you simply didn’t ask about it. Ask around for what you can get covered and take the most options that are available to you to get through this time. Does Medicare Cover Patients Outside United States? The short answer to the question of Medicare covering patients outside the United States is “No”. Unless you are in the U.S. or its territories (Puerto Rico, the U.S. Virgin Islands, Guam, American Samoa, and the Northern Mariana Islands) you are generally out of luck. However, there are a few situations that can change this. 1. Patients living in the U.S. near a foreign hospital, that are in need of emergency or non-emergency medical treatment. If a foreign hospital is closer or easier to get to from the patient’s home than the nearest U.S. hospital that can treat the condition, Medicare may pay for the services. 2. Patients living in the U.S. when they have a medical emergency. If a foreign hospital is closer or easier to get to than the nearest U.S. hospital that can treat the emergency, Medicare may pay for the services. 3. The patient is crossing through Canada without delay between Alaska and another state, and they have a medical emergency. If a Canadian hospital is closer or easier to get to than the nearest U.S. hospital that can treat the emergency, Medicare may pay for the services. The most important thing to remember is that you are covered as long as you are home. If you must leave home you may want to arrange short-term coverage through someone else. It has been about two years since the Deficit Reduction Act went into effect (7/1/06) requiring all immigrants to give proof of legal immigration or citizenship when they are applying for Medicaid for the first time. This applies to children, as well. Most legal immigrants cannot receive Medicaid benefits for the first five years that they are in the U.S. and undocumented immigrants can only receive emergency Medicaid services. Once the bill became law, it also restricted citizens, as well. Medicaid enrollment has declined since the law was enacted, partially because even U.S. citizens are finding it difficult to locate some of the documents required to enroll for Medicaid services. This is because some of the documents need to be original documents, and it can be difficult to obtain original documents in many cases. As far as Medicaid goes, they receive matching federal funds to help run the program and pay claims. As a result, even if they wanted to assist individuals without documentation it would be a problem for Medicaid both in a financial sense and in a legal sense. The rules are so stringent that CMS has instituted a rule that even requires child welfare agencies to document citizenship for children being placed into foster care. There are some issues where people receive extra time to provide documentation, however, they are limited and must adhere to very specific rules and time frames. Once an individual has completed the documentation process and is approved for coverage, they will be covered retroactively to the date of the application or to the month of the application depending on the state they are living in and a few other variables. The primary types of identification include a state driver’s license, Certificate of Naturalization, Certificate of Citizenship or a U.S. passport. Secondary types of identification for naturalized citizens include a U.S. Birth Certificate, data verification with Systematic Alien Verification for Entitlements (SAVE) documentation, or documentation and data match with a state verification agency, as well as other documents. It is important to know the law, your rights, your responsibilities and your entitlements in order to receive the benefits you need. You can research them on the web by going to the CMS website. When elderly individuals go into a long term care facility or assisted living facility and self pay, the cost can be astronomical. Making sure that the person is comfortable, well cared for, in a clean environment and positive atmosphere is not a low budget issue. What happens, though, when a private pay individual converts to Medicaid? Well, one would think that because all of the payments are now guaranteed, albeit possibly lower, that these facilities that have been raking in money from these individuals and their families, that they would leave grandma, grandpa or aunt Minnie in comfort and without worry without changing a thing. Unfortunately, this doesn’t always happen. In fact, there is an investigation taking place in New Jersey regarding the company Assisted Living Concepts, owner of eight assisted living homes in southern New Jersey. The investigation was started by the Public Advocate for the state, who has filed papers against the company because of their alleged practice of discharging the elderly when they change from self pay to Medicaid. Public Advocate Ronald K. Chen is asking for the names, admission and discharge summaries, as well as contact information for every resident of the company who is or has been a Medicaid beneficiary. The representative of Assisted Living Concepts, Laurie Bebo, who is also the CEO of the company, refuses to cooperate with the subpoena and states that the company does not have any Medicaid conditions in their license; therefore, they do not have to honor Medicaid patients. Chen says that state licenses for all eight facilities stipulate that at least 30% of the residents of each of the facilities are to be Medicaid eligible and no resident would be discharged because or if they spent all their money. Assisted Living Concepts operates more than 200 assisted living residences in 17 sates, containing more than 8,000 units, so this is no small issue. New Jersey may just be the tip of the iceberg. As of Monday, thousands of Medicare beneficiaries enrolled in fee-for-service plans will be able to access their doctor and hospital claims online as part of a new pilot program in South Carolina. This Personal Health Pilot is a new program from the Center for Medicare Services (CMS) and will help thousands of Medicare beneficiaries. CMS has created the program to help encourage consumers to learn the use of PHRs and see how much and how well consumers use them. Beneficiaries who use the PHR will also be able to enter some of their own information such as prescriptions they are taking and over the counter medications as well. In addition, they will be able to use links to find websites with information about their individual health conditions. On excellent benefit of the PHR is that individuals using it will be able to share their health information with their health care providers and their families by giving them authorization to be their authorized representatives. These representatives will be given their own user I D’s and passwords. The PHR Pilot began in South Carolina at the beginning of April 2008, and will continue indefinitely. Security is of the utmost importance, and, as a result, the PHR Pilot was delayed by the concerted effort to make sure that the program is in strict compliance with federal data security standards and the highest privacy safeguards for patient information. The PHR Pilot is an important step in involving all individuals in the medical process. Of course, the Medicare recipient is the individual who will make the decision as to who has permission to access their information. In the event that the beneficiaries allow their families or their physicians to access the information, the result could be better communication leading to better health care and more support. It will be both interesting and important to see the progress and results of the Personal Health Records Pilot. Hopefully it will be a foundation for more pilots and permanent programs throughout the country. There is a lot of information around about what a Medigap or Supplemental Medicare Insurance policy is and what it covers. What it does not cover is just as important to you if you are contemplating whether or not you should purchase a supplement. The 12 Medigap plans cover basic benefits, but each differs depending upon what state you are in. The twelve plans are labeled A through L, with plan A being the basic policy. Plan B through L offer the same basic coverage found in plan A, and also offer other additional benefits. Plans K and L offer similar coverage as plan A, but the cost sharing is different. None of the standard or basic Medigap plans cover certain benefits, such as long term care for help with bathing, dressing or using the bathroom. They also do not cover vision, dental care or hearing aids, private duty nursing or prescription drugs. As mentioned, there are other variations based on the state you are living in and receiving benefits from. To explore the differences and to look for coverage you can contact your state insurance department, or find The Guide to Health Insurance for People with Medicare: Choosing a Medigap Policy. Another offering is Medicare Select, which is a type of Medigap policy that often costs less than standard Medigap plans. That’s the plus part. The negative is that you can only go to certain participating physicians and hospitals if you need any sort of medical treatment or assistance. To find out if Medicare Select is available in your state, simply call your state insurance department. Since Medicare Part A is the most basic plan let’s start there. Plan A covers your hospital stay up to 60 days. Starting with day 61, you are responsible for costs through day 150. Since Medicare doesn’t pay at that point, All Medigap plans cover days 61 to 150, though you will have to pay the shortfall, as the Medigap plans don’t cover the entire cost during that time. You will also be responsible for any deductible before Medigap kicks in. With Part B, you will pay your annual deductible which is $135 in 2008. Medicare then pays 80% of the doctor and other medical services, 50% of some health services and 100% of some preventative services. Since Medicare does not pay for all services, as described in the paragraphs above, this is where a Medigap policy takes over. Plans B through J cover expenses such as the deductible above, skilled nursing home costs, some deductibles for other services, including at home recovery, preventive care, prescription drugs and foreign travel emergency or urgent care. As you can see, the expenses that the right Medigap policy covers can offset a lot of out of pocket expenditures. It is an excellent idea to research this type of coverage so that you can see how cost-effective the coverage could be and whether it is right for you. 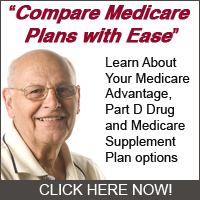 To research the plans more thoroughly you can call Medicare at 1-800-MEDICARE or you can check on the internet at www.aarp.org and www.cms.gov. These sites have links to other information, as well. Whatever you decide to do, research thoroughly, ask questions, calculate the cost of purchasing a Medigap plan vs. the cost in out of pocket expenses if you don’t purchase one. Get information from your employer, your insurance agent and any other sources on the web. Another great way to get information is to ask friends what type of insurance they have and how happy they are with the coverage. They say that people spend more time looking for furniture or buying groceries than they do researching their insurance, yet it is your insurance – especially Medigap – that can literally make them or break them. Don’t get caught without protection. Determine what your needs are and then do your homework. You’ll be glad that you did. There are many people that are enrolled in Medicaid and receive benefits, but are not aware of the fact that there are dental benefits available. Dental benefits are available as an option to individuals over the age of 21 who are enrolled in Medicaid. These benefits are a required benefit for individuals under 21. They are a component of the Early Periodic Screening and Diagnostic Treatment (EPSDT) portion of Medicaid. EPSDT is a mandatory program through Medicaid and it focuses on prevention, early diagnoses and treatment, beginning with children and continuing through the age of 21. Dental services must be provided through this program in an effort to watch for any problems or illnesses and address them before they become worse, or before they become chronic conditions. At the very least, services must include relieving the child of pain and eliminating infection, restoring teeth and helping children and young adults maintain dental health. While some plans (usually private) only deal with emergency dental issues, this is not the case with EPSDT. EPSDT must provide regular services and not only help people when there is an emergency. The idea is that regular treatment will diminish or eliminate dental emergencies, thus keeping the system efficient and not creating additional problems for the client either. The state sets up dental referrals at various intervals and the dentist is required to do a thorough exam, not just an oral screening only. ESPDT requires that all services covered by the Medicaid program must be provided to recipients as long as they are Medically Necessary procedures or services. In other words, if you have a cavity or need a root canal and it is necessary to be fixed, those services are covered. If, however, you are thinking of getting implants or special veneers, these services might not be covered, since they are often considered “cosmetic” procedures – not only by Medicaid, but by private dental insurance plans, as well. If a condition is discovered during an exam or screening, the state is obligated to provide treatment for that condition, even if it is not covered through the state’s dental coverage. For further information and answers to your questions, contact Centers for Medicare and Medicaid Services (CMS). You can find them on the web at www.Medicare.gov and www.Medicaid.gov. or you can call them at 1-800-633-4227 (1-800-Medicare). Most of us think about Medicare in terms of types and amounts of plans and coverage. Sometimes we only think about it when we are feeling ill or having to visit the doctor or hospital. If you receive Medicaid, there have probably been some times that you wanted to go to a community health center but ended up having to go to the emergency room waiting for hours to get care. If you feel you have missed out on other services, such as education and non-emergency assistance, help is on the way. Many individuals receiving Medicare benefits rely on home health care as one of the main benefits they receive. Home Health Care for these individuals – usually seniors or individuals with disabilities – is their lifeline and an essential link in their services and well-being. The Center for Medicare and Medicaid Services (CMS) has once again recognized the Joint Commission’s deeming authority for accrediting Home Health Care. 2008 is about to come and you might want to update yourself regarding what to expect next year especially on the Medicare fee schedule. Currently, the physician fee schedule is about 10.1 percent payment cuts that are mandated by the SGR which governs Medicare payments. However, you need to expect that Congress may correct this drop like it did for several years now by passing legislation before the end of the year of 2007 or at the beginning of the year 2008, which will maintain the 2007 conversion factor that is used to calculate the fees from Medicare.